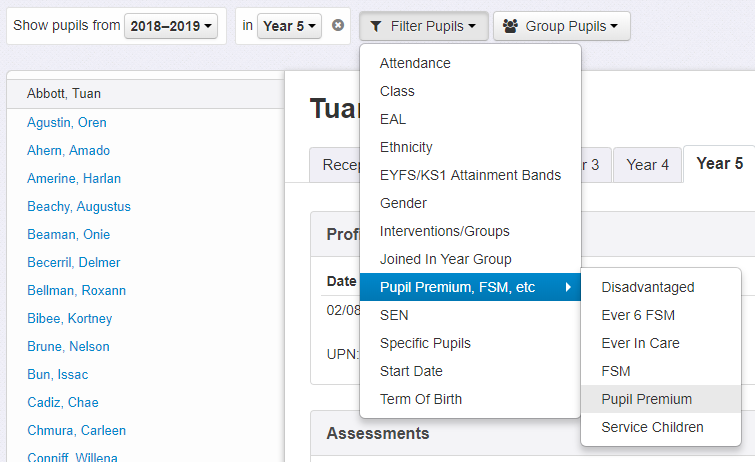 You can use Insight's filtering and grouping options to report on your Pupil Premium children. How does Insight determine which pupils are Pupil Premium? Pupil Premium status can either be explicitly set, or automatically inferred from other information such as FSM. 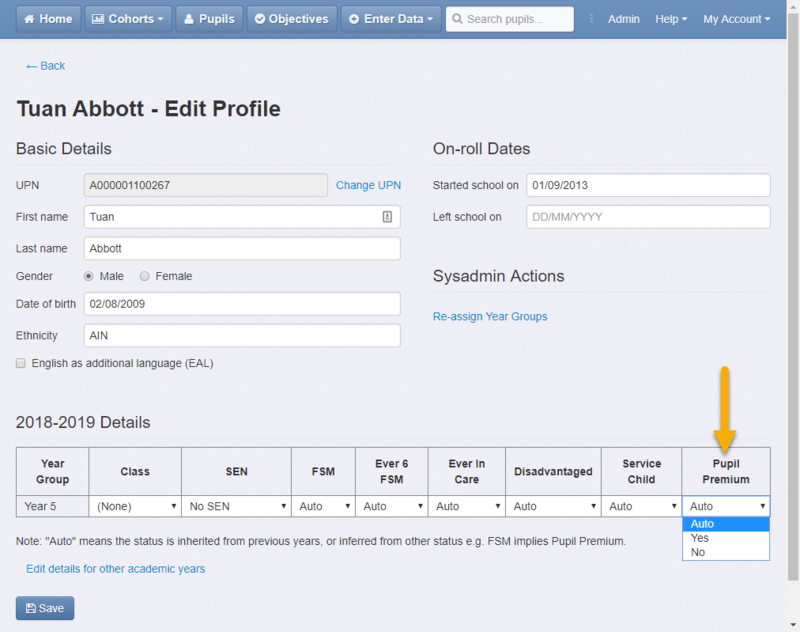 Users with Admin access to Insight can update this by editing a pupil's profile. Setting Pupil Premium to Yes or No explicitly defines a pupil as having it or not. See the government's Pupil Premium eligibility criteria, which describes the date ranges and conditions that make children eligible for funding.